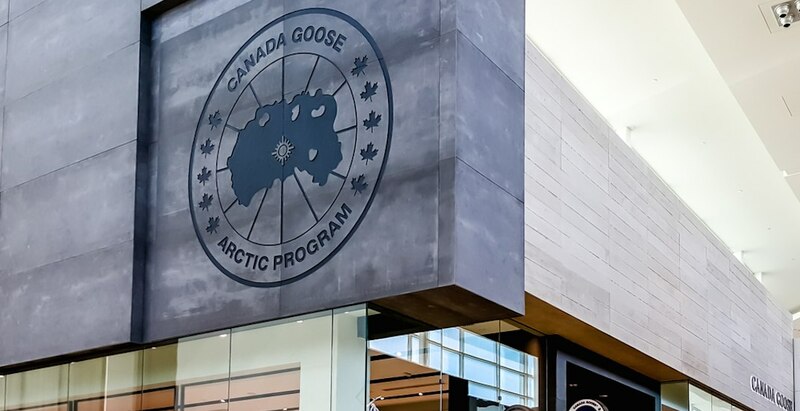 Outdoor apparel retailer Canada Goose has announced that it will be opening a brick-and-mortar store in downtown Montreal by the end of this year. The Toronto-based company, known for its thick down-filled winter jackets, will open within the former space of the HMV store at 1020 Ste-Catherine Street. It will feature a contemporary design with an “Arctic-inspired environment” that also reflects the local aesthetic of the city, with “familiar Canada Goose touches” such as marble polar bear sculptures from Canadian Indigenous artist Jason Carter. There will even be a “cold room” immersive experience where customers can test the brand’s warmest parkas in temperatures as low as -25°C. It will be one of the company’s first locations with such a unique changeroom. New stores are also planned for Vancouver and Short Hills, New Jersey, with all three new store locations opening in time for the Christmas 2018 season. Canada Goose currently has brick-and-mortar locations in seven cities, including London, Toronto, New York, Boston, Chicago, Calgary, and Tokyo. Stores are also planned for Beijing and Hong Kong. © 2018 Buzz Connected Media Inc.
Get the most out of your city. Exclusive access to contests, events and perks.